Kimberlite is an igneous rock best known for sometimes containing diamonds. It is named after the town of Kimberley in South Africa, though it can also come from Tanzania, Zimbabwe, West Africa, Australia and the United Sates. 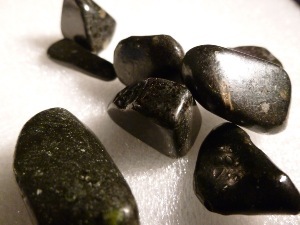 Kimberlite is said to help you to complete projects or your life purpose. It may promote flexibility and to assist one who may be undergoing trauma or transformation. It is believe by some that Kimberlite may promote deep meditation, out-of-body journeying to multi-dimensions, and strengthen visualisation.